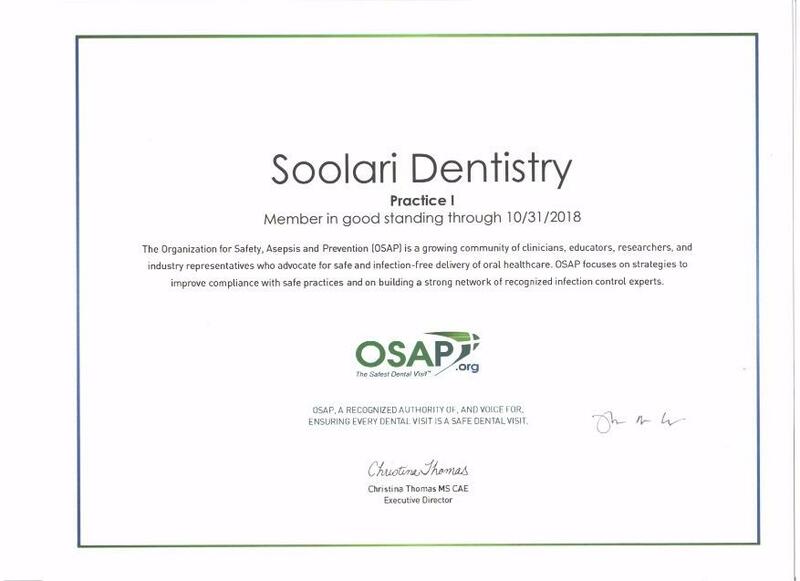 The Organization for Safety, Asepsis and Prevention (OSAP) is a growing community of clinicians, educators, researchers, and industry representatives who advocate for safe and infection-free delivery of oral healthcare. OSAP focuses on strategies to improve compliance with safe practices and on building a strong network of recognized infection control experts. OSAP offers an extensive online collection of resources, publications, FAQs, checklists and toolkits that help dental professionals deliver the safest dental visit possible for their patients. Plus, online and live courses help advance the level of knowledge and skill for every member of the dental team. Our office is proud member of this organization!